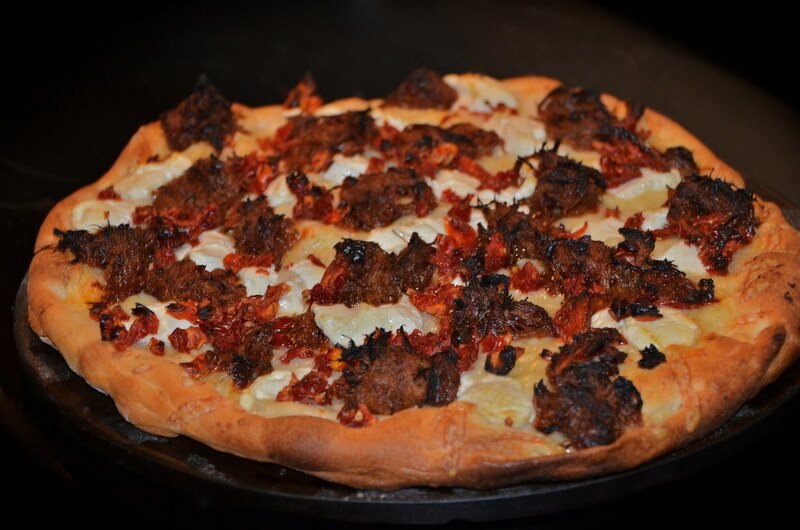 I love making pizza at home. It’s a quick meal and the topping combinations are endless. 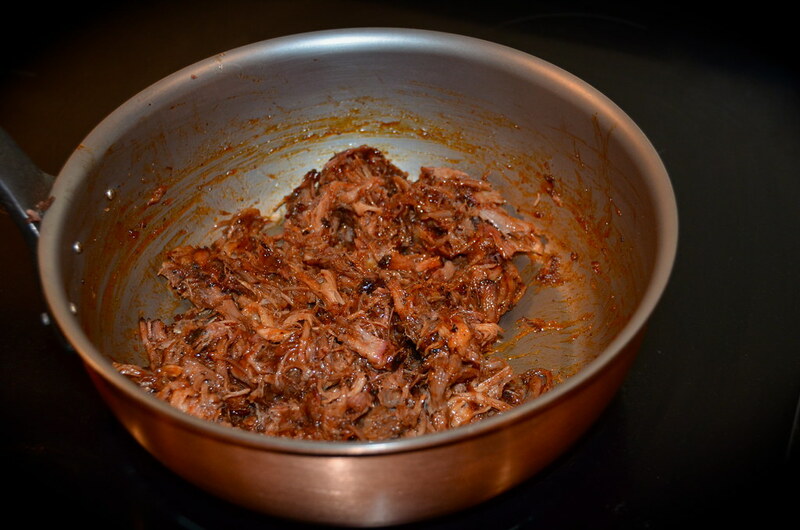 I stumbled on this idea when I was looking for something to do with leftover shredded pork. My dad recently gave me 2 quarts of shredded pork that he smoked on his big ‘ol smoker that I have dibs on (so back off big brother). 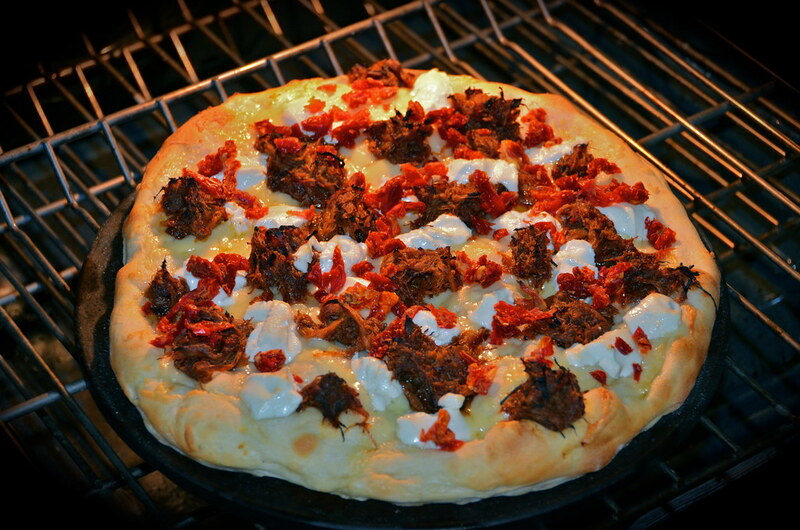 I heated it up with a chipotle barbecue sauce that I had on hand and then started the pizza making process. The first thing you have to do is preheat your oven to 500F, put the pizza stone in the oven, and let them both heat up while you prep. If you don’t own a pizza stone go get yourself one today. I think they sell at Target for about $15. You won’t regret it. I buy dough from my local grocery store. They have an amazing bakery and I am not just saying that because I don’t bake. 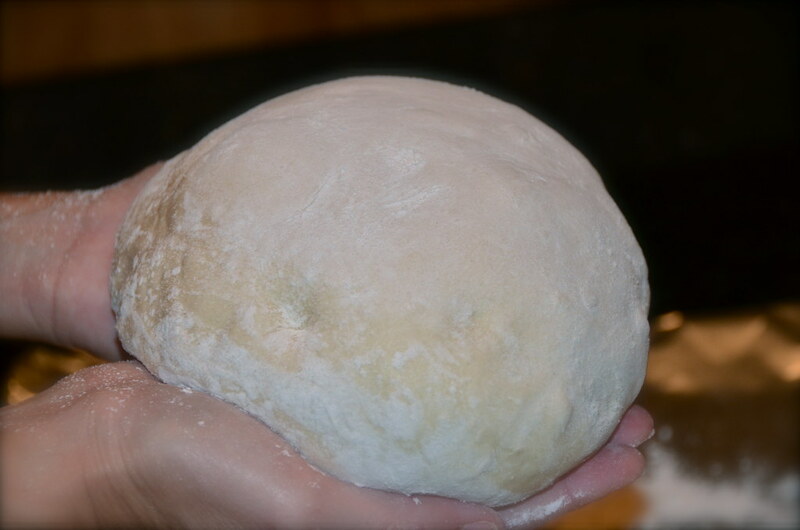 You can see step by step pictures of how I form my dough HERE. 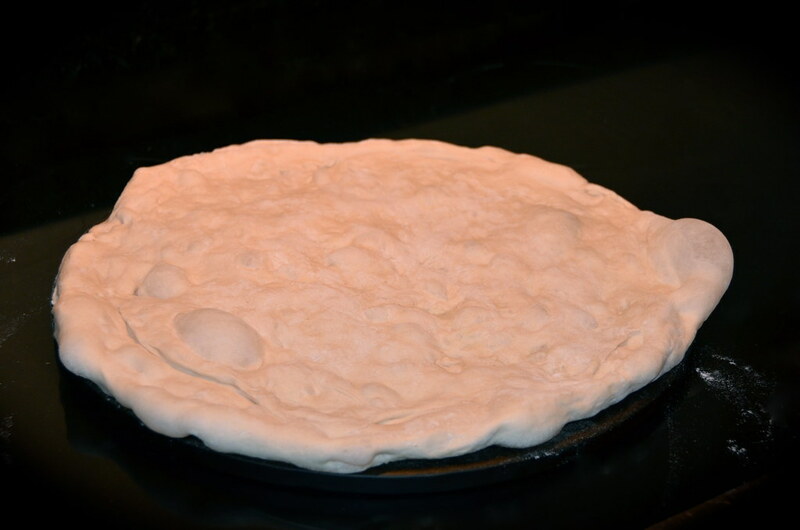 Carefully pull the hot pizza stone out of the oven and set it down on your stove top or a surface that can withstand 500F. Please use an oven mitt or potholder to take the stone out of the oven. It is HOT. Don’t laugh… some people need to be reminded. 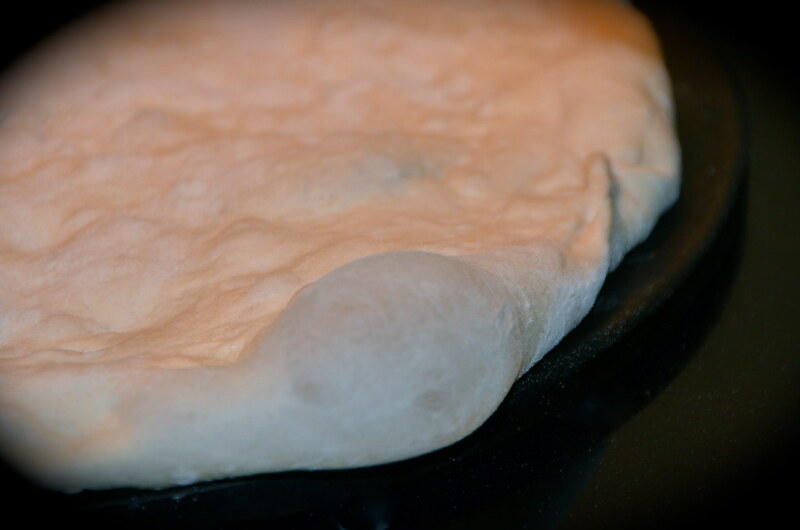 Lay the dough on the hot stone and stretch it out a little more if needed. Bubbles in the crust is a good thing. Instead of a tomato-based sauce I make a garlic infused olive oil by heating minced garlic and olive oil. 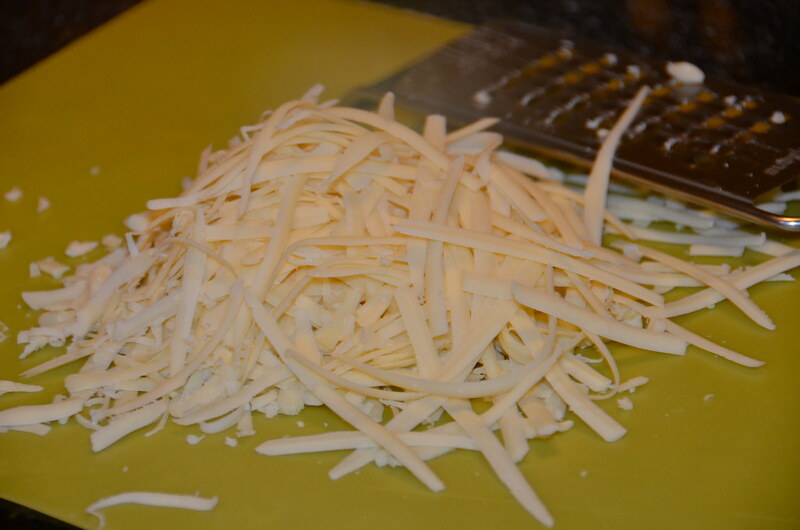 Gruyere is the cheese I use the most. It has a nutty, earthy flavor that holds up to bold flavors. I also like to use Fontina and Manchego. 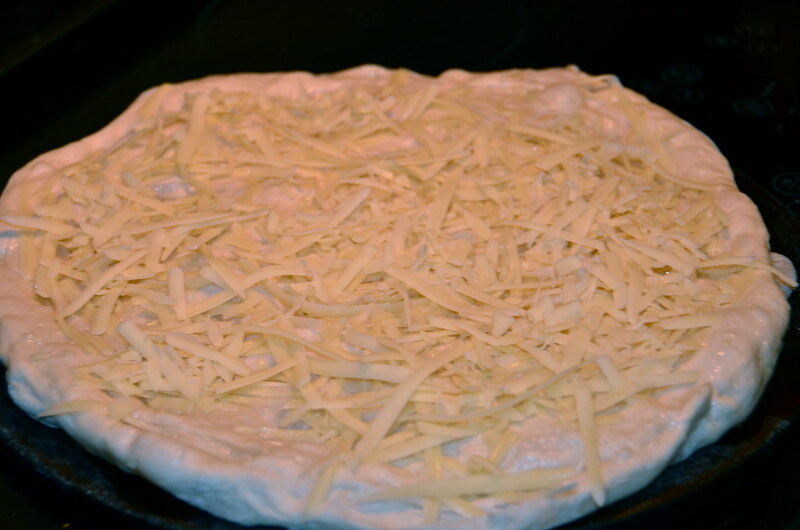 It’s ready for the oven. 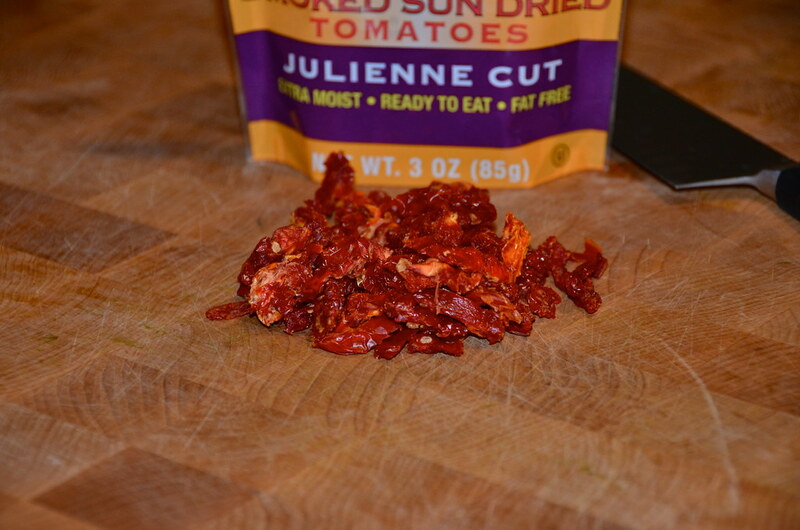 I’ve been adding sun dried tomatoes to every pizza I make lately. They will burn if you add them too soon so I add them after the pizza has cook for a few minutes. Let it rest for a minute before you cut it and then dig in! 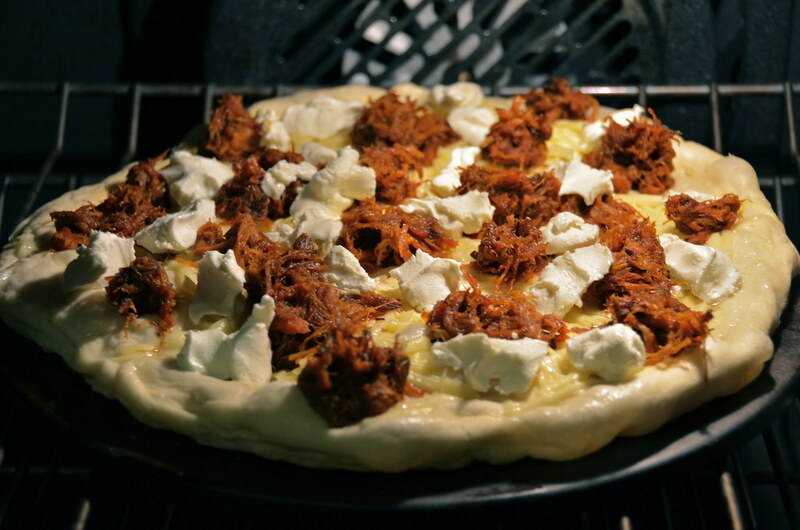 There are so many possibilities with this pizza. 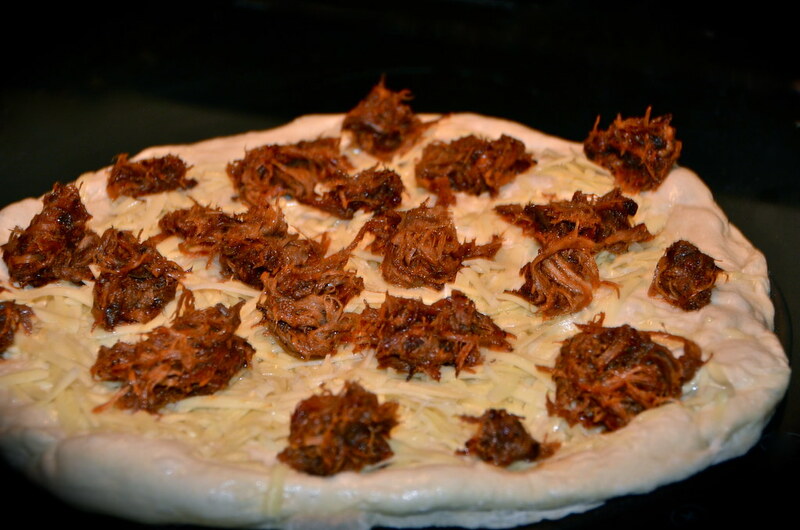 You can use chicken or beef and a variety of different BBQ sauces. Add pizza to your weekly menu… you won’t be sorry! 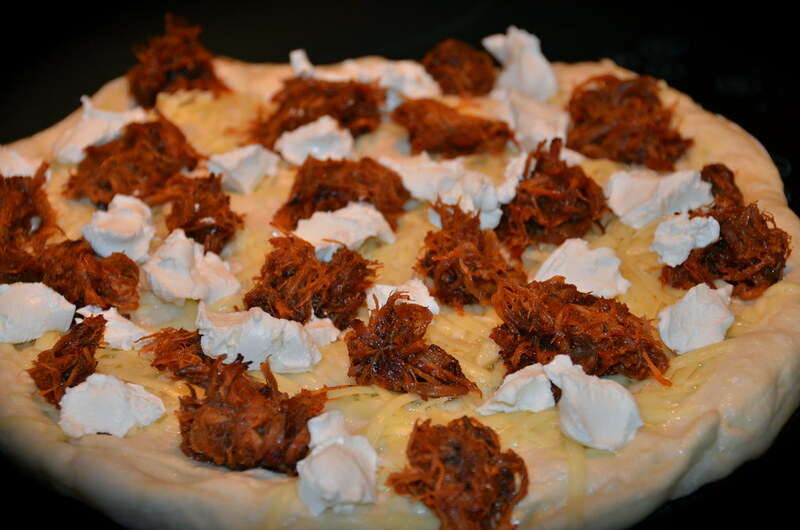 2 Responses to "BBQ Pork with Goat Cheese Pizza"
Yet another amazing pizza creation! Does Publix have whole wheat dough? 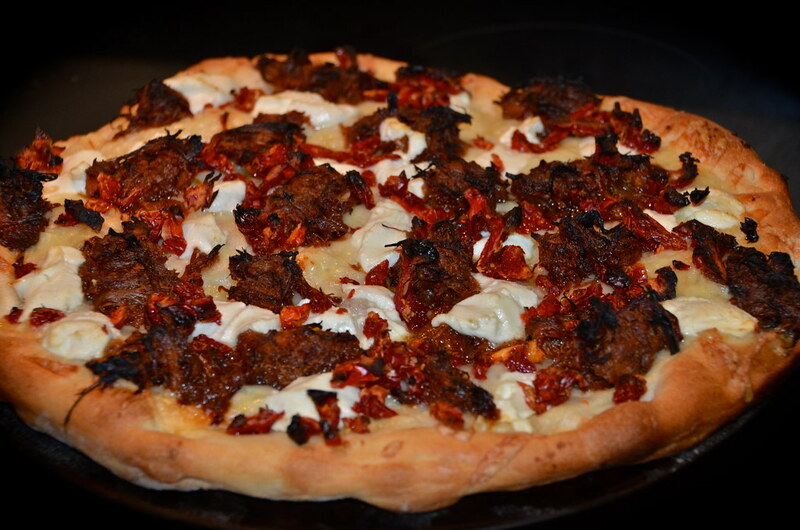 I’m going to start making pizza at home and looking for the healthiest versions I can find. Very nice looking. Wanting to do another pulled pork here soon. I know where some of the leftovers will be going. Awesome looking crust.